Fun 'N' Jump mechanical bulls are surrounded by a baffled air bag, the same kind of surface used with a bounce house. 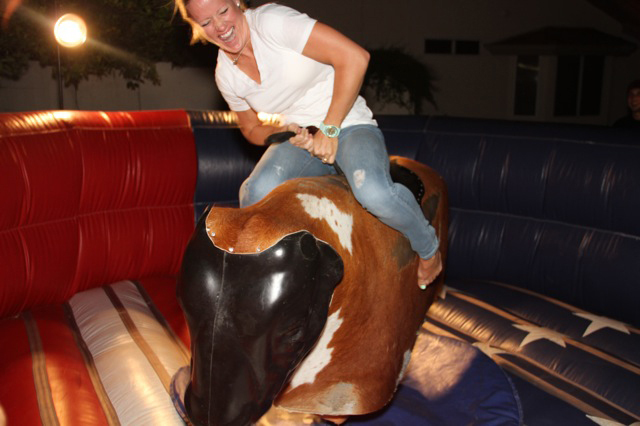 A mechanical bull is NEVER run without this mattress properly in place. 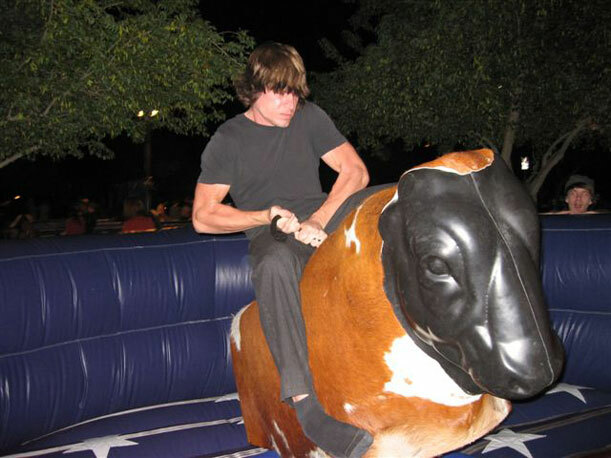 The body of the mechanical bull is padded and always run by a trained operator. The head of the bull is rubber, so it is softer than the old fiberglass or metal bull heads. The bull has the capability of starting rides very slowly and can be advanced to speeds according to a riders ability. 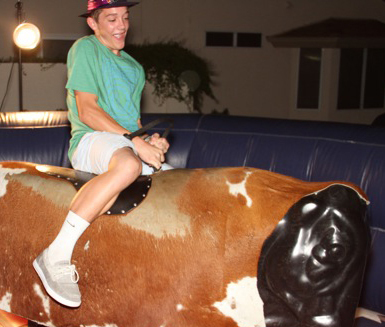 The mechanical bull can go slow and simply spin for beginners and run at a more advanced speed for more experienced riders.